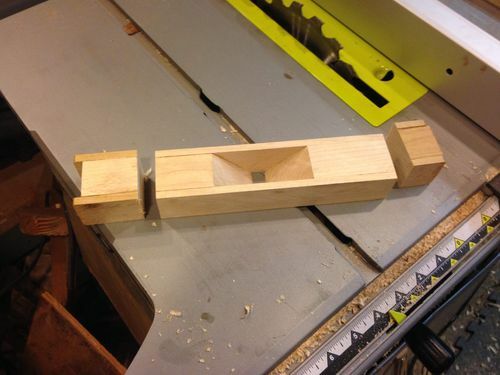 I wanted to try making a small-ish hand plane with a spare cheap chisel that I had around. The body is maple and the bar is brass rod. The blade is from a 1” chisel with the handle cut off. The wedge is also maple. The finish is linseed oil. Nice looking plane, and fromthe first photo it appears go work well too. Why the two brass rods?, looks like the iron / chisel can be mounted both ways. I put the first rod in the wrong place and I didn’t want to just leae the hole. We’ll call it a decoration. I made a similar plane and I have been using it for at least 10 years. I am very happy with it. One of the best things I have ever produced. I forget what wood I used, but there are two species of wood used. I think one of them was cherry. 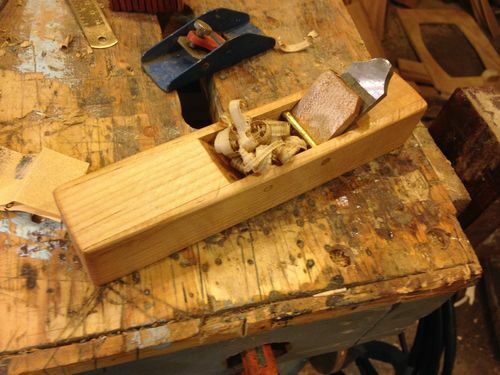 It is a block plane style. I was thinking about making this for a while, but it always seemed like there were all sorts of tickly measurements and such. 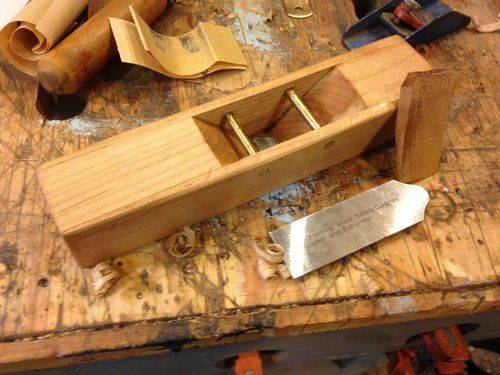 It wasn’t until I saw a video by Phillip Stephens where he made a hand plane on the job site with hand tools and scraps of wood and a chisel that I felt I could at least make that. 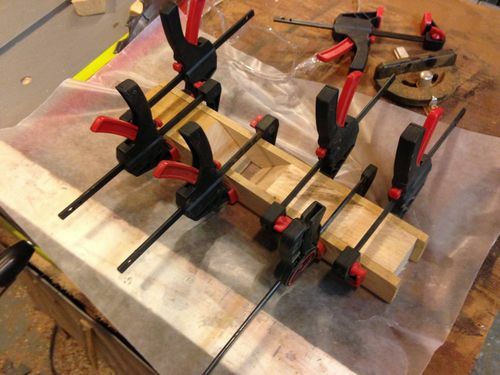 I want to make one about the size of a jack plane at some point, but I’ll either need to buy a blade or a large enough chisel.